« Werewolf Live: An Interactive Comedy Show! Fallout is one of the world’s most popular video game franchises, set in a nuclear apocalyptic world where the last surviving humans face the many challenges and foes that continuously battle over the last remaining resources. Now you can experience the same exciting gameplay in the form of a miniatures based board game, which we are lucky enough to demo at Draughts Board Game Cafe in Hackney! 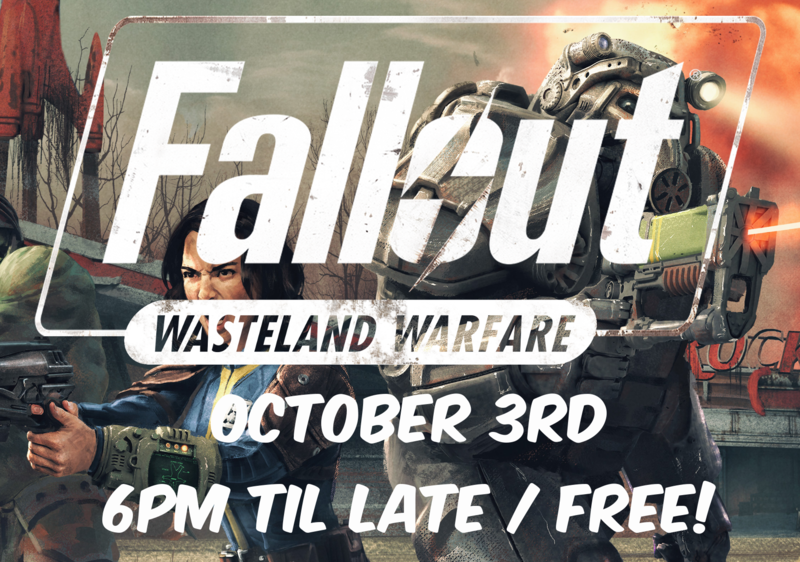 If you’ve ever wanted to give this a go or want to see what all the fuss is about, we are hosting a FREE event at our Hackney venue which allows you to try out the game for yourself, maybe get your hands on some freebies and ask the team responsible for publishing it anything you’ve wanted to ask! No need to sign up, simply show up on the day and we will get you playing a taster of what the game has to offer.